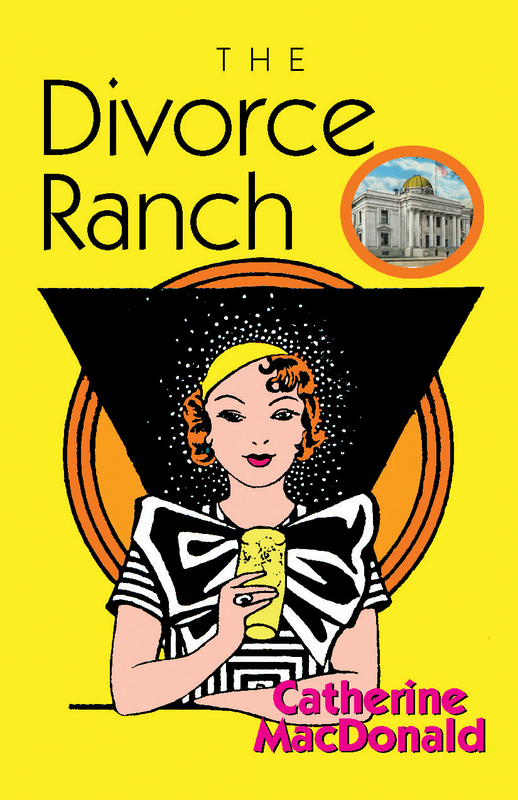 The Divorce Ranch: It’s June of 1936: The Biggest Little City in the World finds itself in the middle of the divorce craze. While the country struggles with the Depression, wealthy people head to Reno for the cure. War is coming and the world is changing. Women are discovering their voices as they fling their wedding rings from the bridge into the Truckee River. Join Maggie, Dorothy and Claire as they arrive on the Washoe Ranch to rid themselves of their stale marriages, only to learn that they had created lives for themselves that they never dreamed possible. I remember when my husband and I first moved to Reno in 1977 and my mother-in-law was horrified because Reno was the divorce capital of the world. I didn’t know much about the divorce era, but when I read an article five years ago that sparked my interest and I learned that I lived up the mountain from two of the most famous ranches during that time: The Flying ME, and the Washoe Pines. I started researching and discovered a world long gone by, but filled with romance, cowboys, and gambling and drinking. This was a time when women dressed for dinner and cowboys kept tallies of their conquests etched on the bed frames. I chose the time from of the 1930s because of the political and economic similarities. During this time, Nevada was still rugged and not influenced by other states. I am finishing up the sequel to Seasons of the Vineyard: Romancing the Vines. The basic premise is a woman stumbles into a past life to uncover the secrets of the wine and her heart. The book is set in Sonoma, but the heroine travels to Italy and of course the past to uncover the secret she has been looking for. Who are your writing role models? Hemingway, Fitzgerald, L’Engle, Anne Morrow Lindbergh. Yes. I do like current authors: Alice Hoffman, Anne Rivers Siddons, Wally Lamb, and the list can go on and on. I like a good story. How do you balance your day-to-day commitments with your writing life? It’s hard, but with the help of Dropbox I have been able to take my virtual files with me. Writing is a discipline and I have learned to write in the corners of my life. As with every business, there are busy and slow times. I crank out the pages during the slow times. What are your other passions outside of writing? Hiking, biking, yoga, reading, creating art, reading, gardening, and spending time with my family. I am the proud nana of three young grandchildren who are so much fun! Now I know why I didn’t kill our own teenagers. Don’t be afraid to reinvent yourself! I was a teacher for 25 years, teaching everything from first grade to college level English, when I got into business with my husband after the last child left for college. If you want to be a writer—write. I had many college students who wanted to write but didn’t make the time. Also, all writers need to be readers. You need to experience many different styles and see the words dance across the page.